Subliminal advertising played a big part in Avocados From Mexico's 2017 Super Bowl ad. 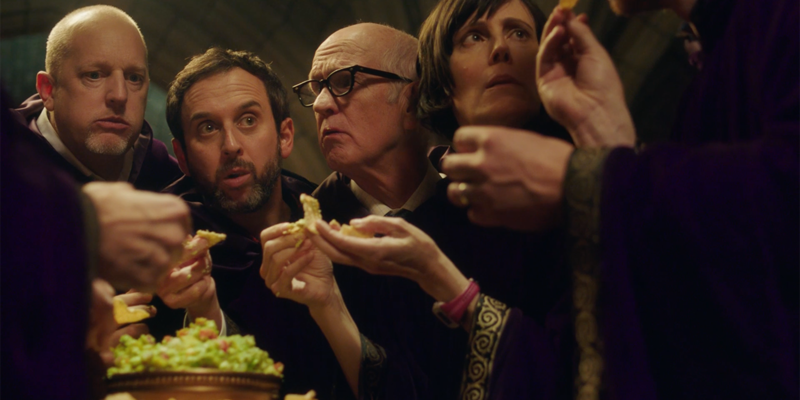 A secret society is subject to subliminal advertising in Avocados From Mexico’s fun Super Bowl spot. The agricultural brand will run a 30-second spot in the first quarter of the Big Game but today it has released an extended 90-second cut of its ad from creative shop GSD&M. “We are excited to once again showcase the fun, light-hearted spirit of our brand during advertising’s biggest night,” said Alvaro Luque, president of Avocados From Mexico, in a statement. The group has also worked with digital shop Richards/Lerma to create a social campaign, #AvoSecrets, for mobile, where consumers can check out some of the mysteries the group would like to keep under wraps. With that effort, consumers will be interacting with a fake secret phone used by one of the secret society members in the ad through various experiences, which the group hopes they will share on social media. Consumers that play along before Feb. 7 will have the chance to win more than $50,000 in prizes.